Before the onset of the Second World War, an Agricultural officer named Frank Henderson based at Talasea recognised the potential of an area of land known as the ‘Mosa block’ for agricultural development. However, subsequent events precluded any early development of the area. NBPOL’s provincial headquarters are located in Kimbe. Operations were relocated from Talasea to Kimbe as it was the ideal location for an international wharf to be constructed. The population in the ‘Mosa block’ was estimated at about 2 persons per square kilometer. Land was made available to the new Company under agricultural leases for a term of 99 years. NBPOL’s first venture outside of West New Britain was in 2006, when the company acquired GPPOL in the Solomon Islands. In 2008, NBPOL West New Britain and its 7,000 smallholders achieved RSPO certification. The same year, Ramu Agri-industries Limited joined the NBPOL family, adding a significant sugar and beef production to the Group’s activities. In 2010 three sites in the provinces of Oro, Milne bay and New Ireland joined the NBPOL Group of companies. 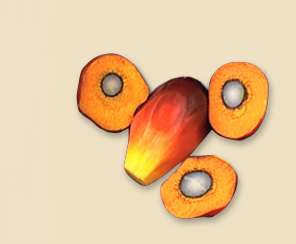 2010 also saw the establishment of the Group’s first European operations New Britain Oils, a state-of the art refinery in Liverpool, dedicated to processing segregated, traceable, certified sustainable palm oil.